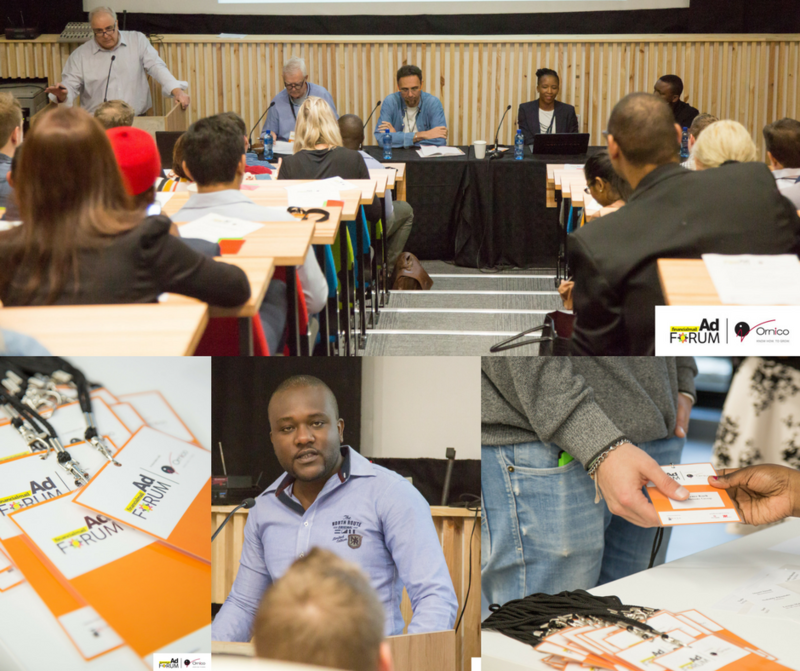 Friday, 24 March 2017 saw an inspired AdForum hosted by the Financial Mail and Ornico at the Vega School, which analysed FMCG advertising. The panel discussion included Andy Rice, Mpho Maseko of Wunderman, Richard Prévost from The Strategy Department was also on the panel and Mongezi Mtati represented Ornico. The topic of the morning, “Keeping up with the FMCG market”, began with a brief overview of trends in the industry, presented by Ornico. Globally, consumers are looking for increased ways for engaging promotions, and here the Internet of things and augmented reality provide a plethora of opportunities. In addition, smaller brands are growing and becoming more successful in the space. On a local level, SA’s obesity figures and sugar taxes pose a threat to brands that don’t take consumer trends into consideration. Food inflation is another issue facing brands in this sector. Bokomo’s Weetbix ad got a positive response from the panel. The “puppies and children” approach is one that, though cheesy, works well as a reminder of days gone by. The panel said the ad was saved from being corny by its irony and the tongue-in-cheek presentation. Bokomo used its heritage of trust, the panel felt, as it did not provide a concrete reason to be believed, confident that trust already existed with consumers. The majority of the audience thought the ad worked. Cadbury’s radio ad was next, and was lambasted by the panel for not including any of the Cadbury brand attributes that one would associate with chocolate, thereby missing an opportunity. The ad, they agreed, was merely clutter and did not work. Coca Cola’s Christmas television commercial, said the panel, felt hackneyed and was disappointing. In its effort to appeal to consumers across the board, it ended up appealing to no-one. Its northern hemisphere setting did not resonate with South Africans. A print ad for Ladismith Butter was also negatively perceived. Rice compared it to a trade presentation that had been placed in a consumer publication, while Prévost said it was a missed opportunity to play on the brand’s heritage in relation to its name. A print ad for Lipton Pyramid Flavoured teas received a mixed response from the panel. The copy with the relevant product information was easy to miss and the headline was unimaginative. Prévost thought the pyramid visual was arresting but said there was too much focus on the pyramid shape. Overall the panel felt the ad did not work. Milo’s radio advert was deemed uninteresting; however, it was acknowledged that the brand did manage to trade on some of the product’s heritage. But because the advert focused on cricket and soccer, Maseko felt it would alienate the mothers of girls. Simba’s television ad received an enthusiastic response. The panel said it would resonate with a very particular generation of the SA market, which would relate to the game that was featured. The ad contained nuances and elements that all South Africans would understand even if they were unfamiliar with the game. The final ad of the day sparked a lively debate about advertising for ethnic hair products. Sofn’Free’s print ad showed that the brand’s traditional colours had been refreshed, which brought it more in line with competitors in the market. It is also new to the children’s market. Ethnic hair is a widely contested space and there was much debate about the ethics of straightening ethnic hair. The panel was divided about the efficacy of this ad, with two believing it worked, and two saying it did not. This post originally appeared on The Redzone.